In which way does this picture make you think of procurement? They say that a picture is worth a thousand words, and in seeing the cover of the recent issue of The New Yorker’s 2014 Cartoons Of The Year in an airport store, I was immediately reminded of procurement. In fact so much so, I actually purchased a copy of the magazine. While I will in a future post – okay, probably my next post, share with you my thoughts on why this made me think of procurement – and more specifically procurement professionals of which I am one, I wanted to get your thoughts. In other other words, where do you see procurement in this picture? My first guess when looking for procurement in the picture above was that the dog was sitting on it. 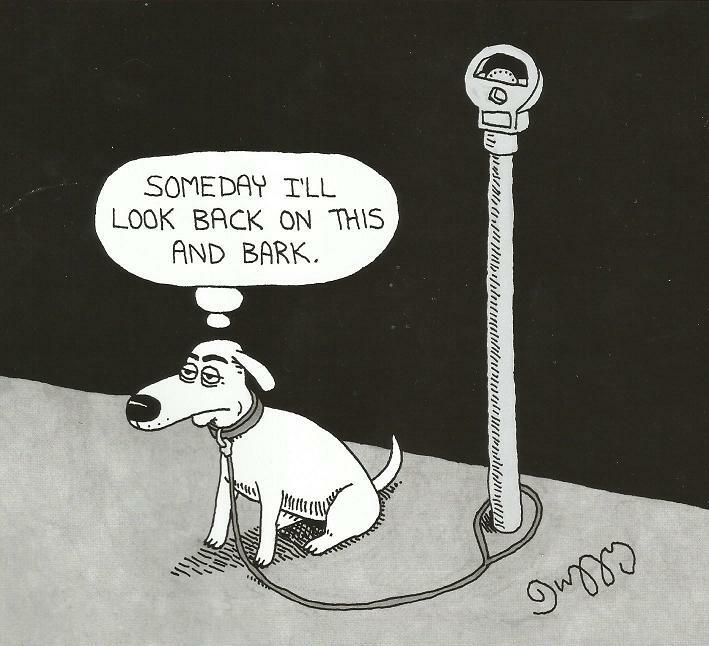 After giving the question more serious thought, I see us as dog tied to the meter (savings metrics). While procurement has more control over the meter than simply being tied to it with no thumbs and no quarters, it does prevent us from wandering very far in any direction. Because at the end of the day we will be evaluated based on our master’s reading of the meter, our natural sense of self-preservation drives us to focus on savings even when there is a greater opportunity to create value or drive innovation. The other connection between the picture and the procurement profession today is that while we are tied to the meter outside, something pretty fun (or at least warm) is probably going on inside. Something that we didn’t get invited to because either our presence or behavior were deemed unacceptable. If we are lucky, maybe someone will come out and give us a dish of water or a pat on the head. Until then, we are stuck waiting to… well… ‘go walkies’.